As the cold weather sets in, we find ourselves preparing for Autumn by decorating our homes, raking leaves, cooking hearty meals and generally enjoying the long dark nights, spent with family and loved ones before a crackling fire. It is thanks to the donations of the faithful of the Ukrainian Orthodox Church of the USA, and to the membership St. Andrew’s Society (Central Charitable Organization of the UOC of the USA), that many who would otherwise remain cold and hungry through the winter months, now have hope to also enjoy a warm meal and toasty fire. While in Ukraine, the Exarch of the Ecumenical Patriarch and in the capacity of the President of the Consistory of the UOC of the USA, His Eminence Archbishop Daniel was honored to hand-deliver funds collected by St. Andrew Society for the purchase of coal and food for the residents of the Mercy House in Mariupol, Ukraine. Thanks to St. Andrew’s Society President, Protodeacon Ihor Mahlay, and the hard work of the members, enough funds were collected to provide warmth and sustenance throughout the coming Winter months. The Mercy House is home to elderly and disadvantaged individuals, many of whom are displaced due to the current conflict in the eastern regions of Ukraine. The elderly sit gazing out cracked windows at the bleak gray landscape, wrapped in sweaters and blankets to ward off the cold, and await a scrap of food, a slice of bread, or a ripened apple. Vladyka Daniel in his remarks stated: “It is a true calling of any and every Christian, any human being, to love and care for those that cannot help themselves...We are all called to BE SAINTS, no matter what our state in life. 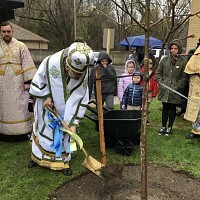 Receiving the help from the faithful of the Ukrainian Orthodox Church of the USA, the eyes of the elderly residents teared up from emotion. They were not forgotten after all. With blessings and warm hugs for all, they were assured of ongoing prayers for their continued good health and happiness. These helpless people whose lives are so difficult, who even lose hope some days, are now bolstered and held up by the love of their neighbors. The gift of food and warmth will strengthen the bodies of the individuals, but, the knowledge that the items were purchased through monetary donations of strangers who wished to help, warms their very souls. 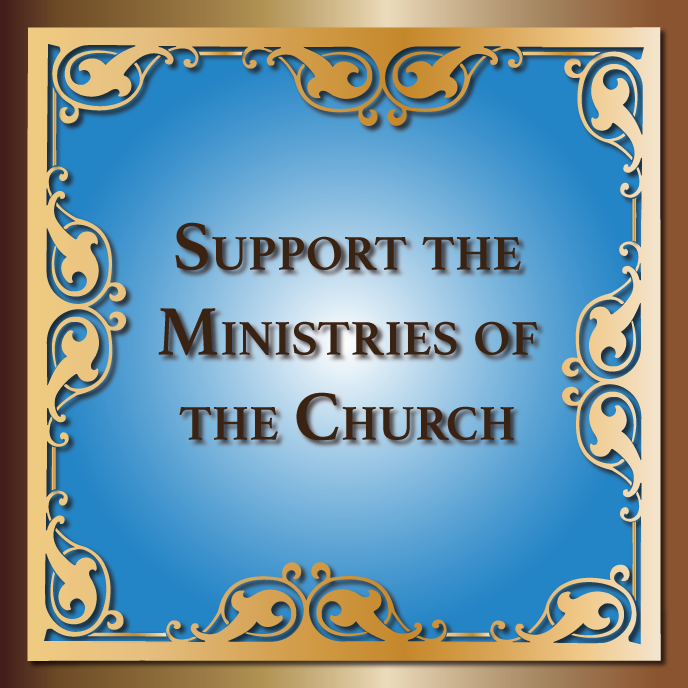 May the Lord bless the residents of the Mercy House, and the continued efforts of all who wish to help them.